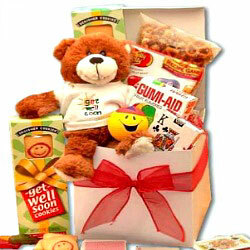 Get Well Wishes Gift Box: One Tough Cookie Adorable Get Well Gift. 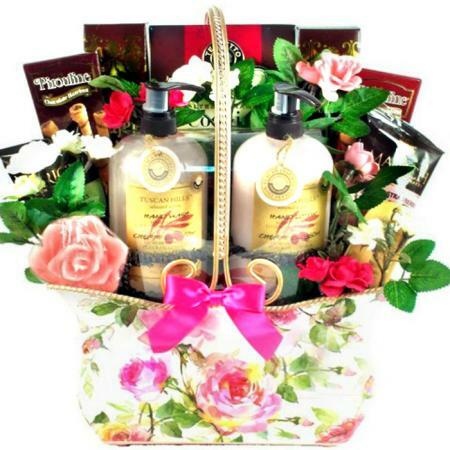 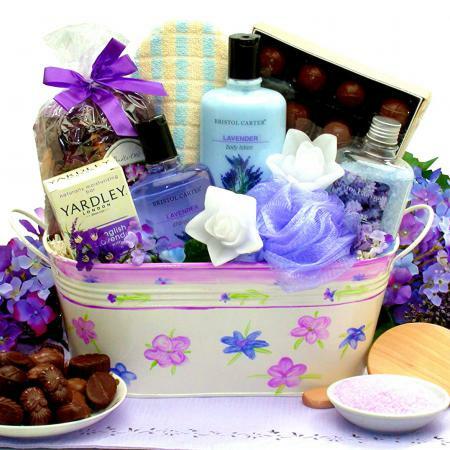 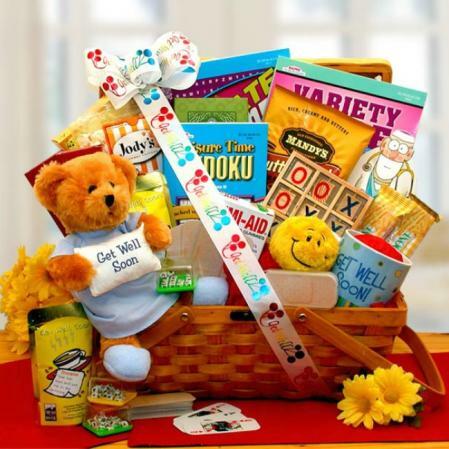 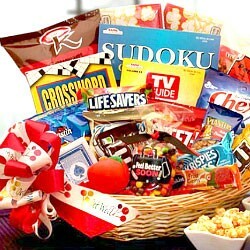 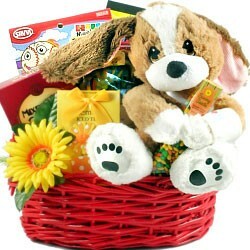 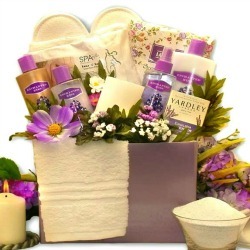 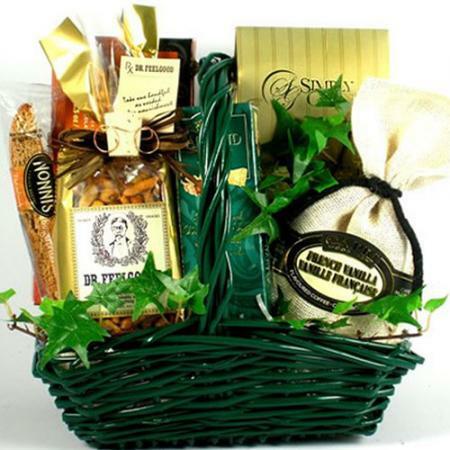 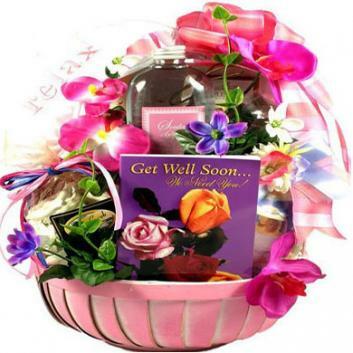 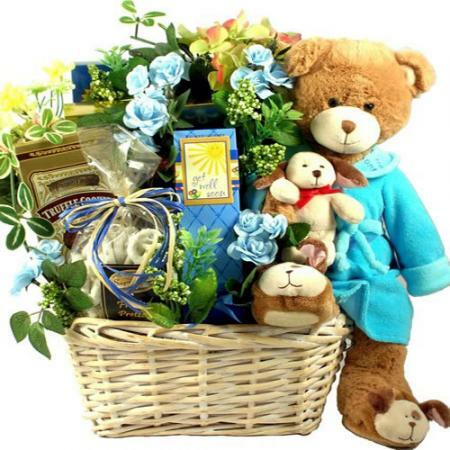 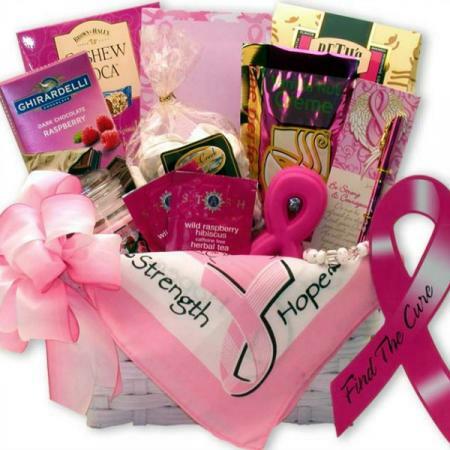 Send this get well gift basket to the tough cookies you know. 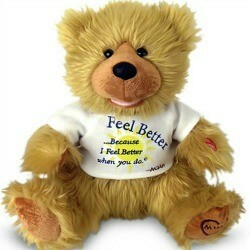 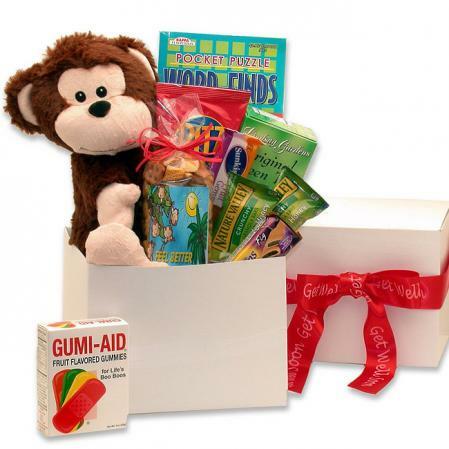 Adorable gift box sends your get well wishes to adults, teens, and kids. 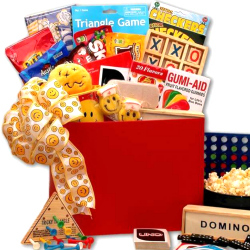 Unisex design appropriate for men and women, boys and girls. 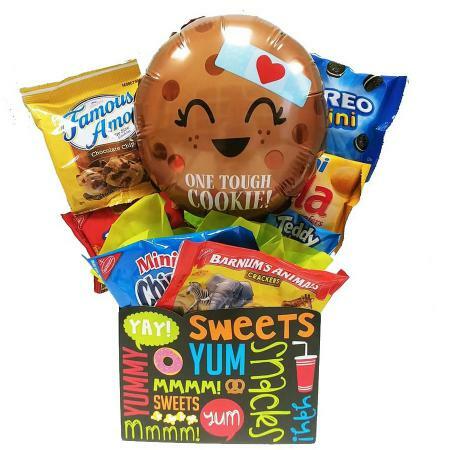 Get Well Wishes Gift Box includes seven different cookie varieties, one tough cookie air-filled balloon in an adorable gift box. 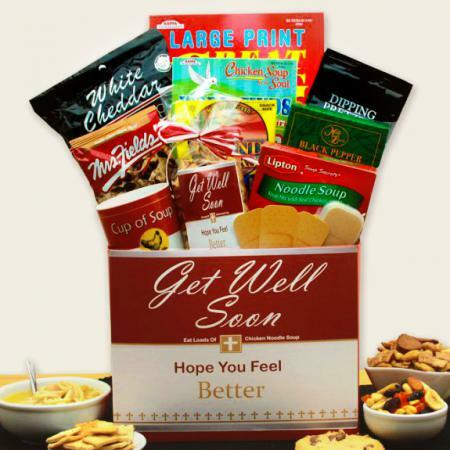 Send this get well gift basket to all the tough cookies you know. 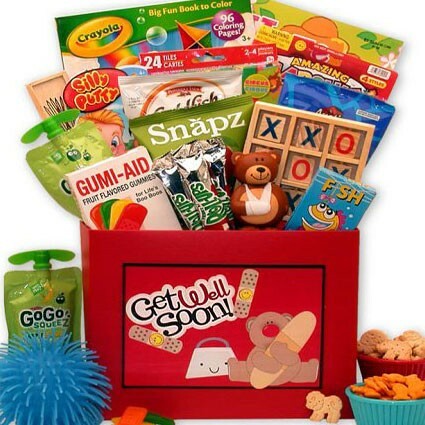 Adorable gift box sends your get well wishes to adults, teens, and kids. 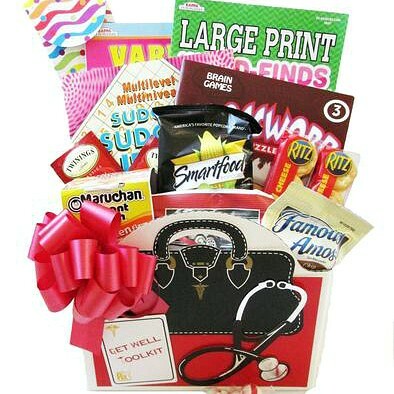 Unisex design is appropriate for men and women, boys and girls. 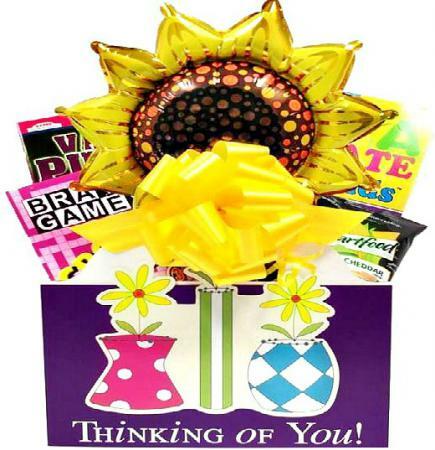 9" air-filled One Tough Cookie balloon on a stick a fun way to send your get well wishes. 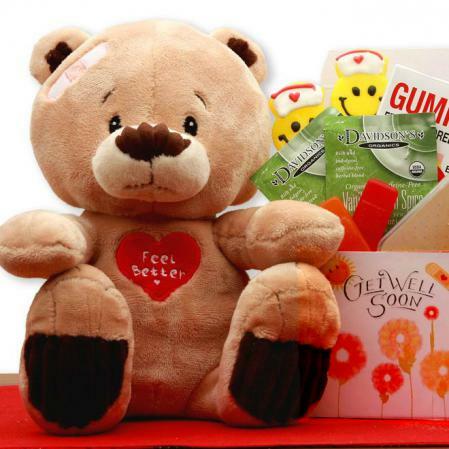 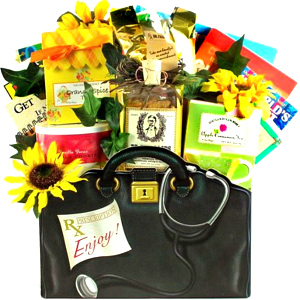 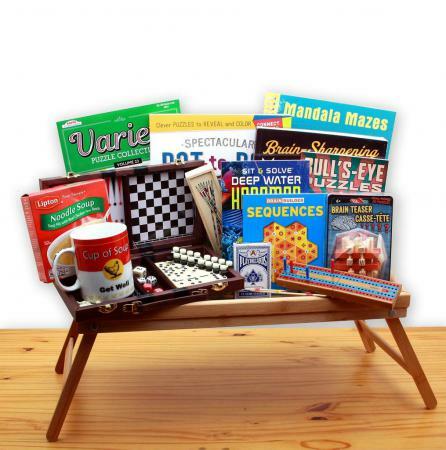 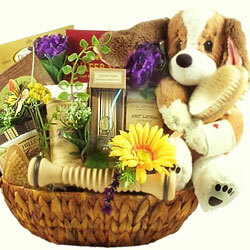 Show you care with this adorable get well gift box. 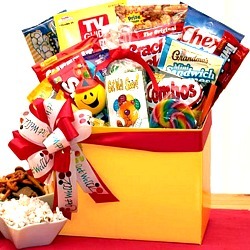 Your gift arrives in a gift box with a snack theme. 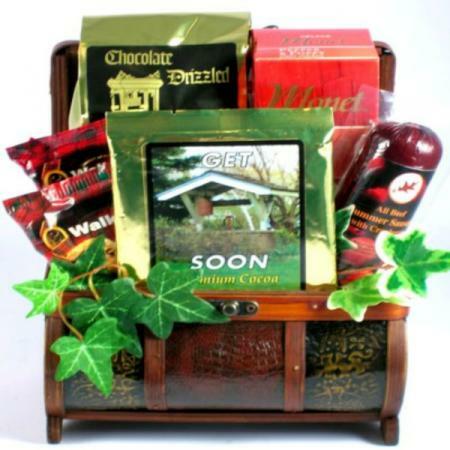 Gift is fully assembled and ready to give. 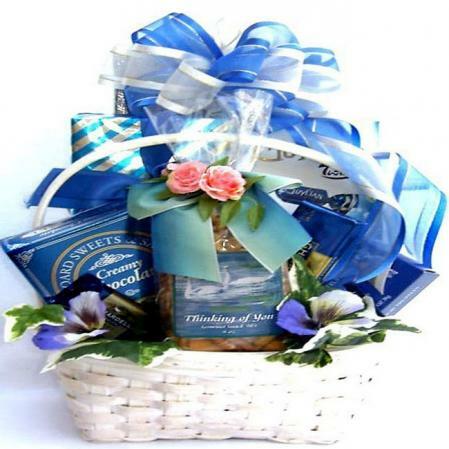 Arrives wrapped in clear cellophane and topped with a bow. 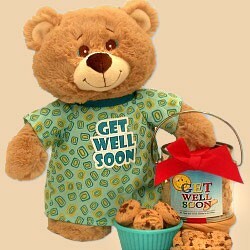 Gift is bubble wrapped and shipped in a box to the recipient sending your get well soon wishes. 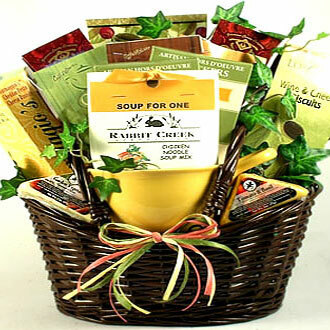 Dimensions approximately 5" x 7" x 14". 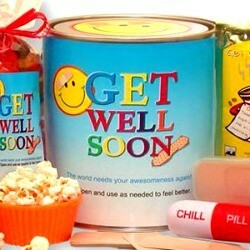 Shipped nationwide. 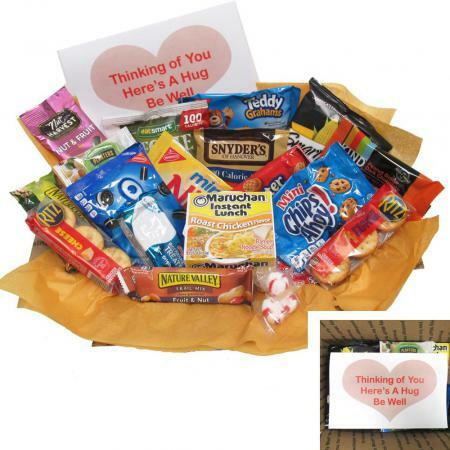 Delivered straight to their door. 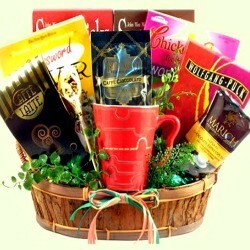 Don't forget to include your gift card message at check out.